Like many aquatic creatures, there’s more to rays (batoids) than meets the eye. With more than 600 different species around the world, rays are the largest group of cartilaginous fish. 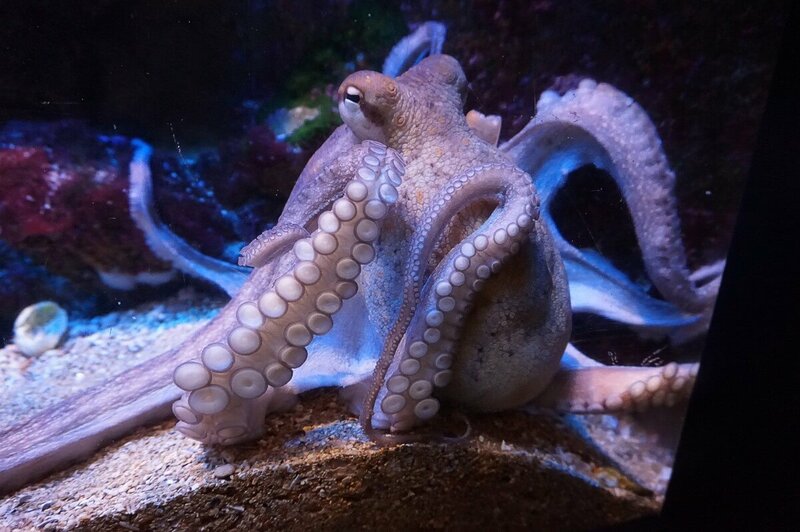 This blog will tell you some intriguing facts about them, including why they would win a game of hide and seek, and how ray pups look when they’re born. Appearances can be deceiving, and although they may not look like it, rays are actually fish. 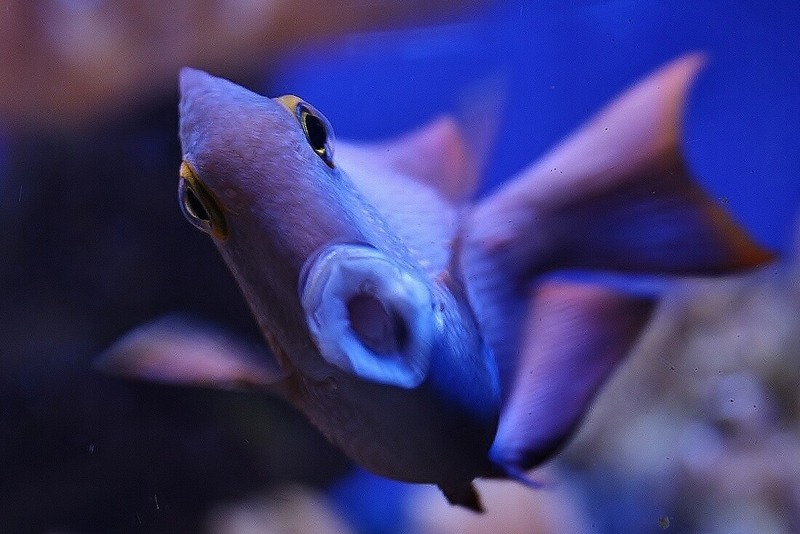 They are also closely related to sharks and are akin to some shark species; for example, they have don’t have bony skeletons and are instead made up cartilage – the same thing our noses and ears are made of! Like sharks, rays use electro-sensors called Ampullae of Lorenzini to find food. This network of jelly-filled pores is able to detect electric fields in water, allowing rays to accurately locate their prey. Because their eyes are on top of their heads, it makes them pretty useless for finding prey that might be hiding below, which is why they rely on electro-sensors to find their next meals. Another shared trait between rays and sharks is how long both species have existed. Fossil records of rays date all the way back to the Jurassic era – 150 million years ago. Thankfully, their teeth and scales fossilised, otherwise we would have no record of how long rays have existed, because cartilage doesn’t fossilise. Their sandy colouring and mottled skin give them the perfect camouflage for burrowing into the sand. Once they’re settled in, rays will lie in wait to pounce on their prey, and they use this technique to hide from predators too. To give them extra cover, rays use their wings to stir up the sand around themselves to make sure that they’re fully covered. Sure, they look a bit odd and their long tails and sharp barbs give them a menacing look, but rays are actually docile creatures and will only attack when threatened. The largest stingray ever caught was 14ft long and 7.9ft across – nearly the same length as an average-sized car! Proving that rays really do come in all sizes, you can find short-nose electric rays at the other end of the scale – on average, they measure a tiny 3.9 inches across. Rays might look like exotic creatures, but the UK is actually home to a number of native species. 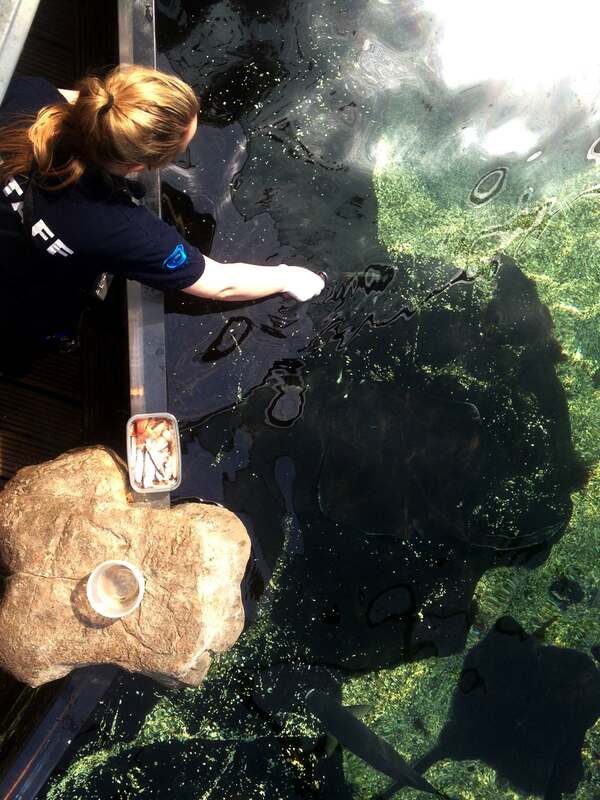 Blonde rays, thornback rays, painted rays, and common stingrays can all be found in British waters – and right here at Bristol Aquarium. On your next visit, why not see if you can spot all of our different rays, and say hello to Ravioli – our resident stingray. Stingrays are the most commonly recognised rays, with their bluish grey colour and white undersides, but there are dozens of different colours and pattern variations across ray species. Thornback rays, for example, vary between light brown and grey, with small brown spots and patches of yellow. This variation of colours and patterns between species is due to the habitat rays are native to, as well as what will help them blend in the best. Unlike most fish, rays have teeth. Despite being cartilaginous creatures, rays have teeth strong enough to crush mollusk shells, and their jaws are made up of several layers of calcified cartilage to keep them light but durable. 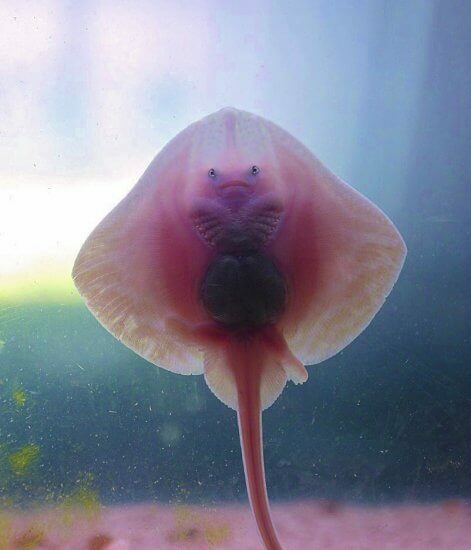 When rays are born, they look like miniature versions of their parents and are already good swimmers. Although they are independent from birth, thanks to their strong swimming capability, ray pups will stay with their mothers for food and protection until they grow large enough to protect themselves. 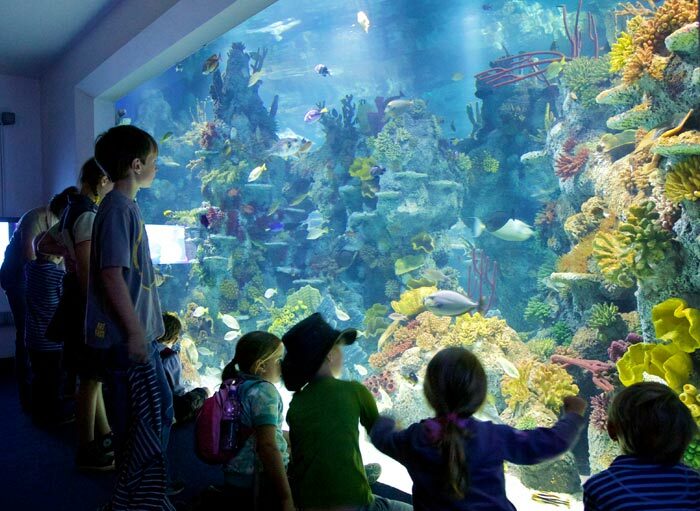 Visit our Bay of Rays to learn more about these graceful movers and see them in person. And don’t forget, if you’re visiting us over the Easter holidays, to check out our Sharks in the City event.